…successfully promote an end to FGC through a non-directive, human rights led education approach which accelerates the ending of the practice in communities by working on the basis that FGC is a social norm, and a violation of human rights, rather than a religious or health issue. Orchid Project and our programme partners all believe that ultimately a community must collectively decide to abandon the practice of FGC, in order for everyone involved to understand that the practice must, and can end. As such, all of our programme partners work at a grassroots level. …an NGO based in Dakar in Senegal, which works throughout West Africa including in The Gambia, Guinea, Guinea Bissau, Mali, and Mauritania, as well as Senegal. Since Tostan’s founding, they have helped bring about the abandonment of FGC in over 7,700 communities across West Africa, by equipping them with the knowledge that the practice does not have to continue. Read more about this on Tostan’s website. Tostan delivers a human-rights based Community Empowerment Programme (CEP) which is a 30 month long programme delivered by local staff in local languages. Our partnership with Tostan complements the CEP and is based around their concept of ‘Social Mobilisation’. An Orchid Project funded ‘Social Mobilisation’ programme is currently taking place in Kolda and Sédhiou in southern Senegal as well as Fouta in the north of the country, and we are supporting this programme through to the end of 2015, and hopefully beyond. This Social Mobilisation programme involves working with teams of volunteers who have already abandoned FGC to spread the message of abandonment, and encourage others to join them through awareness raising and human rights based education. These programmes are crucial to the rapid diffusion of the message of abandonment, and can help bring about an end to FGC in surrounding communities which haven’t been a part of the Community Empowerment Programme. …and in the first two years visited 350 communities, and reached over 20,000 people. A big part of the Social Mobilisation programme and its continued success lies in the identification of social mobilisation agents. These agents are all volunteers, and are identified by the abandoning community as particularly good communicators, who have also been especially inspired by the move to abandon FGC in their own community. Usually they will be particularly supportive of the idea that FGC is a harmful and unnecessary social norm above all else, and will have been able to spot the connection between the practice and early and forced marriage (EFM). In most cases these agents are a mixture of women and men and are already either religious, community, or traditional leaders, who are widely respected, as well as involved and engaged with their community at large. In 2014 we also funded the purchase of tablets to be used by the teams and their supervisors. These tablets support easier monitoring of the project, and also enable the teams to show people what others in their social networks are thinking and saying about female genital cutting. Tostan provides the training needed for these social mobilisation agents in areas such as how to facilitate discussion, especially around a sensitive and difficult subject. The work done on this project both by the staff at Tostan, and by the social mobilisation agents themselves is truly inspiring, and Orchid is proud and privileged to be supporting such a successful programme. To complement the work done by social mobilisation agents in communities we also fund awareness-raising tours in schools, press tours, and radio broadcasts. Radio is one of the most important forms of media in Senegal, with most people have access to radio in some way, even in the most remote communities. In Orchid Project’s first year we supported Tostan in a smaller way, by funding transport costs to enable programme supervisors and social mobilisation agents to visit more communities. The first tranche of funding went to the Gambia so that social mobilisation agents could easily travel between villages in order to carry out their work. We also funded the purchase of motorcycles in Senegal, Guinea-Bissau, and Mauritania, as well as the cost of 14 motorcycle helmets, in order to ensure Tostan’s agents can travel easily, quickly, and safely between their destinations. …to ensure the abandonment of FGC in Kenya. ECAW (Education Centre for the Advancement of Women) is a grassroots organisation working for the rights and empowerment of girls and women in Kuria in South West Kenya. They have been working in this area since 2006 and are currently the only women’s and girls’ rights organisation working out of the area. The founder of ECAW, Dennitah Ghati is local to Kuria and has resisted FGC and other harmful traditional practices. Since February 2013 she has also been a member of parliament, as well as being an influential local leader. Orchid Project has partnered with Feed the Minds and ECAW from January 2014 – March 2016 on a programme which focuses on fostering a movement for change in five rural villages in Kuria. ECAW’s aim is to enhance and promote girls’ and women’s equality and potential through the mobilisation, and education of communities, which includes the sensitisation of communities through the use of advocacy and partnerships. Like Orchid, ECAW sees bringing an end to FGC as one of the key ways in which girls’ and women’s rights can be promoted and extended. As with the end of Early and Forced Marriage (EFM), bringing about an end to FGC allows more girls to stay in school. One of ECAW’s main programmes works with over 30 women paralegals, also known as community outreach workers, who have been trained to offer basic legal advice to community members. ECAW’s paralegals work to engage the wider community in a conversation surrounding FGC, and focus their attention on the education of girls, in order to raise their status and teach them their rights. Most of their activity involves the wider community, and paralegals will take part in various village forums, as well as provide support either practically or verbally to girls and their families when it comes to choosing to abandon FGC. ECAW have also recently recruited several male paralegals, including some older men who hold significant influence in the community. There is also a need in Kuria for access to health care and information regarding female reproductive health and FGC. As part of this programme, the ECAW team deliver workshops with groups of stakeholders which hold power within the community, including parents, teachers, health workers and traditional leaders, as well as attending community forums to speak about FGC. They also deliver girls’ empowerment programmes and school clubs where girls are educated about their rights and their health. On a more positive note, however, the numbers of girls being cut does seem to be falling, and the presence of some of ECAW’s paralegals seems to have made a real difference to these girls’ lives. ECAW’s and Orchid’s ambitions are even greater, however, and the project’s aim is to promote discussions of abandonment of FGC amongst the entire community, in order to strengthen and promote the rights of girls and women in these five rural villages. Unlike ECAW, Feed the Minds is a UK-based international development charity. Choosing to focus on education and building grassroots organisations, Feed the Minds supports some of the world’s most marginalised individuals and communities by promoting literacy and education as well as a greater understanding that goes beyond both those things. Ultimately, Feed the Minds believes in the transformative effects of education and its ability to promote the kind of understanding that is relevant to people’s lives, whatever their situation or experience. Feed the Minds has worked with communities throughout Africa including in Tanzania, Egypt, Liberia, Sierra Leone, Guinea, and others around the world. Feed the Minds and ECAW have collaborated since 2008. …but Kenya is a particularly interesting case study when it comes to the abandonment of FGC, for although overall the country has experienced one of the highest rates of abandonment among 15 African countries (Unicef, 2013), there are certain areas, communities, and ethnic groups where the rate of cutting amongst girls still remains worryingly high. Prevalence in Kenya has fallen overall by an impressive 11% from 1998 to 2009 and currently stands at 27%. But in Somali, Maasai, Kisii, and Kuria communities, the prevalence rate is over 90%. In Kuria in particular, the rate is officially 96%, with girls tending to be cut in their early teens between the ages of 12 and 15. However, the ECAW team’s baseline survey did find that 80% of 910 women whom they surveyed had been cut, which is slightly lower. Within these communities, FGC is very much a part of their coming-of-age traditions, and is seen as a rite of passage for girls. This sense of tradition means that the practice is even further embedded in the community as a social norm, and Kuria’s isolation from the rest of the country only tends to exacerbate such issues, with the position of girls and women remaining vulnerable. For example the area not only has a high prevalence rate for FGC, but also for school drop-out, and EFM. In Kuria there is also very low media penetration, with no local radio, which affects people’s knowledge and understanding of the rest of Kenya. Girls marrying into the Kuria community also tend to be cut so as to allow easy assimilation and acceptance into their new family and wider community. …who are a Kenyan based NGO and UK charity. They run S.A.F.E Maa programmes in the Maasai communities of the Loita Hills, in the South West of Kenya, and have been delivering programmes in this area since 2008, reaching 15 villages, and over 7,500 Maasai. S.A.F.E Maa is dedicated to changing the attitudes surrounding FGC in the Maasai communities of Loita Hills, as a way to help create community-led change, and Orchid Project were able to support one tour as part of this programme in 2013. We have continued to work closely with S.A.F.E ever since, and are looking to further our relationship and develop programmes with them in the future. Before S.A.F.E started working with these communities it was believed that the prevalence rate of FGC amongst girls and women was close to 100%. Now, however, it is estimated that almost 20% of girls remain un-cut, partaking instead in alternative rite of passage performances or ceremonies when they come of age. Orchid Project is proud to have been a part, even in a small way, of this important work and the excellent progress that is being made. S.A.F.E Maa involves members of the community at all levels, from elderly men and women, children and youth, cutters, and families in the discussion surrounding the practice of FGC. In 2008, S.A.F.E began in-depth research on what would help bring about an end to the practice, involving door-knocking and taboo breaking conversations, and the conclusion was that an alternative rite of passage tradition which was created and owned by the community, but also safe and healthy for the girls involved was required. As S.A.F.E Maa found during their preliminary research period, it is vital for the Maasai to have a rite of passage ceremony held for girls who have come of age as women, in order to publicly recognise this change, and publicly accept them as women in their community. While maintaining aspects of the community’s traditional rite of passage, S.A.F.E Maa worked closely with members of the community to create a new tradition that no longer included cutting but still enabled girls to publicly graduate into womanhood. After years of research, S.A.F.E Maa developed a performance in Kimaasai to initiate discussion, and break the silence surrounding FGC. The performers involved are all S.A.F.E Maa staff members who have gained the trust of the community. S.A.F.E Maa has developed a network of volunteer advocates including men, women, young people, elders, cutters and traditional birth attendants (who would have also traditionally acted as the cutters). All volunteers are provided with workshops and training in development, advocacy skills, and education. Upon completion of training, they will take up leadership roles within the community so as to continue to raise awareness about the harm that FGC causes, and to facilitate further change. …is a transnational organisation working in India, Pakistan and with South Asian diaspora communities around the world. Their mission is to empower Asian communities to end FGC, with a specific focus on the Dawoodi Bohra community. Sahiyo, which is the Bohra Gujarati word for ‘saheliyo’, or ‘friends’, engage in dialogue with communities to find a collective solution towards ending the practice of FGC or ‘khatna’. The organisation was set up by five inspiring women, who come from a range of backgrounds including academia, communications, filmmaking, journalism and women’s rights campaigning. You can read about co-founder Mariya Taher’s personal story on Orchid Project’s blog. Sahiyo works towards their mission to end FGC and create positive social change through dialogue, education and collaboration based on community involvement. They support Dawoodi Bohra activists working to end FGC discussion events, facilitate research conversations on FGC, run training workshops for the media, lobby government and carry out community outreach, as well as collecting story submissions from women and girls who have been affected by FGC. Orchid Project is proud to support the organisational development of Sahiyo to strengthen their capacity to work on ending FGC. …is an NGO based in Nairobi which was founded in 1995 to support vulnerable and marginalised people’s lives in Kenyan communities. Their vision is that of a society free from all forms of violence against women, including FGC. They work throughout Kenya on three key initiatives; access to justice, movement building, advocacy and communications. Their programmes focus on growing social movements that are committed to ending violence against women, by strengthening the voices and impact of women leaders as ‘champions of change’ at a community level. COVAW also links local, national and regional policy processes, and works to ensure women have access to services and justice. They work both at a governmental and community level across the country, and work with 112 community activists, over 200 paralegals, and 23 advocates. COVAW participates in and advocates for a multifaceted approach to ending FGC. They work with community members, elders and traditional leaders, community activists, religious leaders, women leaders, and county-level duty bearers to address and prevent cultural practices that are harmful to women and girls’ sexual and reproductive health, including FGC, gender-based violence and child early and forced marriage. In July 2017, Orchid Project partnered with COVAW to support a 3-month pilot in the Narok region of Kenya. The project focused on facilitating community dialogue, supporting duty bearers to champion community change in relation to FGC, raising public awareness of the practice, fostering sharing and learning and increasing organisational capacity. Orchid Project is delighted to be a partner of COVAW and support this important work empowering communities to prevent and end FGC in Kenya. There are several ways that you can support our work to end FGC. 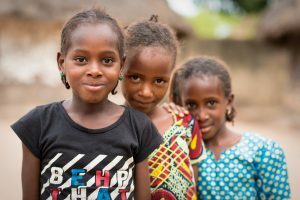 Donations are always welcome but we also need Ambassadors to inform themselves about female genital cutting and to spread the good news of abandonment and the hope that an end is possible within a generation. 1. Inform yourself about FGC and what is being done to tackle the issue. Our new website is full of information and we regularly post new blogs on a variety of issues. Education is the first step to ending FGC, so please inform yourself. 3. Raise awareness by sharing information about FGC and Orchid Project across your networks. Honest and open discussions are really important in taking the taboo out of FGC. 4. Fundraise for Orchid Project. Whether you’re a runner, a swimmer, a mountain climber, an event organiser or none of those, you can raise money for Orchid Project by setting yourself a sponsored challenge, or organising a fundraising event. Get in touch to let us know more about what you’d like to do. Keele Obstetrics and Gynaecology Society and Keele Tropical Medical Society held an FGM talk for medical students and other healthcare professionals, including nurses and midwifes, in February 2015. Haneen Abed, who organised the event, said, “The talk was given by Miss Fidelma O’Mahony, Consultant in Obstetrics and Gynaecology and Senior Lecturer at Keele Medical School. This was an opportunity for students to find out more about a continuing public health issue of FGM occurring across globe. As healthcare professionals, there is a high possibility that we may be faced with females, both young and old, having had FGM affect them, or be at risk of it affecting them, and hence it is of paramount importance that we are educated about it. On September 14th, 2014, Vicki, Sarah and Anna all completed a team triathlon for Orchid Project. They swam (Vicki), cycled (Sarah) & ran (Anna) to raise money for Orchid Project. Congratulations from everyone at Orchid Project! Stacey and Chris, Julie, Jackie and Carmel took part in the 10k Total Warrior challenge on 2nd August 2014: “After seeing the documentary ‘Cruel Cut’ on TV we felt compelled to join the campaign. We realised the importance of raising awareness to help stop barbaric and unnecessary cruelty that continues to affect so many young girls and women. Alice Bennett has been supporting Orchid Project in a slightly unusual way. She collected together pennies to make a giant orchid mural – and raised £318 in the process… Thanks Alice! Zoe Gerrard writes: “In 2013 Rosslyn Hill Chapel held an evening of dancing as part of the campaign to raise awareness of the fact that one in seven women will suffer abuse during their lifetime. It was so successful that a Ministry of Dance has been formed and we hold fundraising dances about every three months. Yvonne Obura delivers talks on FGC on behalf of Orchid Project, traveling to universities and events to discuss the issue. Yvonne is a doctor who is passionate about increasing awareness of FGC among her fellow medical colleagues and improving understanding on this issue. Also in January 2014, students at the James Allen Girls School raised funds and awareness for FGC in an evening of dance, music poetry and much more. In January 2014, Tina McCloskey held a second ‘SkyHigh’ event. In celebration of her birthday, proceeds from ticket sales were donated to Orchid Project and Camfed. Thanks Tina! “The reason I am doing the event is that a few years ago I read the book “Half the Sky”, and the stories about the lives of women across the globe just caught me, made me feel that my woes are nothing and that unless I do even one small thing to help then it is better than nothing. I normally don’t care about celebrating my birthday but as other people do care about birthdays, I thought it a good way to get people to donate to charities whilst also having a laugh and a dance. People get asked to sponsor people for 10k runs etc all the time so there is a bit of an overload. Girls Girls Girls is a collective of female artists who have been working together and supporting Orchid Project with a series of live shows in intimate venues across London. The aim of bringing their work together in a collective is to stand up as young female artists in collaboration to empower each other, show casing their talents, be it music, illustration, photography or dance. They have chosen to do this in a way that supports the work of the Orchid Project – highlighting our work to empower girls and young women, and raising some funds for Orchid while they are at it. Orchid Project took part in the Women’s 5k Challenge in Hyde Park on the 11th September 2011. In total, we had 13 supporters participating, over half of whom ran the 5k course in times around the 30 minute mark, with the rest opting to have a more leisurely walk through the beautiful Hyde Park scenery. We want to say a MASSIVE thank you to everyone who has given us their support! If you feel like organising an event to raise awareness for Orchid Project please do get in touch – we’d love to support you. Email [email protected] to find out more. It is with tremendous sadness and shock that we learnt about the untimely death of Zoe Miller, in a tragic accident near her home on 23 April 2012. Two months earlier, we met Zoe for the first time on International Day against female genital cutting, on 6th February. Her mum, Jane, had asked that she attend our event at the House of Commons. Zoe showed poise, understanding, compassion and maturity. She also loved meeting Sister Fa, and the atmosphere at the concert later on in the evening. It made us more intent to understand that everyone needs to respond to the challenges of FGC with their own honesty and truth. Above all else, as a girl raised in Africa and having travelled to so many places in her life, she seemed to really comprehend the sensitivities and complexities behind FGC and its ending. It is with great honour that Orchid has accepted the Miller family’s wishes to set up a fund to celebrate her life. To know that somehow, Zoe’s spirit will be with us as we continue our tireless work to help end female genital cutting seems entirely fitting. We hope we do justice to her adventurous spirit and loving determination, of her and of her family. If you would like to donate in memory of Zoe Miller, you may do so here. Orchid Project is a lean, energetic, efficient outfit and always intend to remain so. Your donation will help us make more of an impact. Any amount will help us to continue with our work. 1. Donate regularly. If you can commit to a regular monthly donation, you can be part of ending FGC. Regular donations let us plan for the future and mean we can commit to more projects and progress. And if you’re a UK tax payer, with Gift Aid we can claim an extra 25p in every £1 donated. 2. Make a one-off donation – please remember to Gift Aid your donation. 3. Write us a cheque or set up a standing order. Contact us here for more details. 5. If you are Danish, join Foreningen Orchid Project Danmark, our Danish supporter group based in Copenhagen. For increased attention and resources to be invested in ending FGC. Here at orchid Project we believe that FGC can only end with the help of actors, activists and decision makers at every level – from grassroots, to regional, national and international actors. We advocate to governments and influential decision makers to accelerate a global end to the practice, and use the most appropriate advocacy actions for whichever issue we may be working with, or for whichever level we are working at. Within the UK this advocacy has taken the shape of making the case to the Department for International Development (DFID), to make an investment in the help to end FGC, thus playing a key role in the subsequent commitment of £35 million to end FGC. In July 2014, we also hosted the pre-summit reception for DFID’s Girl Summit, which was a highly significant event, being the first of its kind and entirely dedicated to promoting the rights of the girl. Outside of the UK, Orchid Project hosted a reception at the US Ambassador’s residence in Copenhagen in November 2014, as well as holding an international conference with partners on FGC. Our relationship with our sister organisation in Copenhagen has been vital to our continued efforts to bring about an end to FGC and we have held a number of events in conjunction with them. In the USA we held a reception at the British High Commission in New York City, hosted by the UK Ambassador to the UN to mark the international day for the abandonment of FGC on February 6 2015. Speakers at this event included our CEO Julia, our Orchid Project Ambassador Sister Fa, the UK Ambassador and representatives of UNFPA and Unicef. A month later in March 2015 we also held a panel at the UN’s Commission on the Status of Women, raising the profile of the scale of FGC outside of Africa by working with panellists from the Middle East and Asia. We have a presence at CSW each year. In July 2015 we organised and held a panel at the third Financing for Development Conference in Addis Ababa, working with our diverse panellists to highlight the need for increased investment in ending FGC, as well as the importance of FGC’s inclusion in the post-2015 Sustainable Development Goals. We endeavour to continue our advocacy at all levels, and to further promote understanding around FGC and the ways in which we can bring an end to the practice within a generation. … by Julia Lalla-Maharajh OBE and gained official UK charitable status in April 2011. Julia was volunteering in Ethiopia when she first came across the practice of FGC, and was galvanised into taking action. Having witnessed for herself how widespread and damaging the practice was in just one country, she returned to the UK determined to help bring about an end to FGC. After volunteering with various charities and NGOs already working on the practice, in order to find out more about FGC, Julia threw herself into her new role as an ambassador for ending FGC. What followed were stints on the Trafalgar Square Plinth to raise awareness, a YouTube competition for a human rights campaigner to attend the World Economic Forum, and a trip to Davos after her three minute video won her a place in a global vote. At the forum Julia participated in a panel to discuss and debate the issue of FGC with the head of UNICEF, Amnesty International, and the UN Foundation. The debate was facilitated by Half the Sky co-author, Nick Kristof. The main question brought to Julia at Davos was, “what can we do to end FGC?” and she found the answer to this after visiting Tostan, a Senegal-based NGO, in early 2011. Tostan’s community empowerment based education programme has helped lead to the widespread abandonment of FGC in communities across West Africa, and for the first time, Julia was coming into contact with people who were talking openly about the practice, rather than about FGC in terms of being a taboo. Returning from Senegal she realised that in order to bring about real change, setting up a charity with the sole purpose of ending FGC was the right course of action, and in 2011 Orchid Project was founded in order to fulfil this role. We are also grateful for the generous support of Gregory Nasmyth and Samantha Rowe-Beddoe. If you are a trust or foundation looking to fund an organisation like Orchid, please get in touch with us. If you are an individual donor looking to make a donation, whether as a one-off or regular donation, please do so here. … a small group of employees, and a larger number of volunteers who have all generously donated their time over the years. The charity is based in Vauxhall just south of the river in London, and everyone who works there is united in a shared belief that empowering communities to work towards an end to FGC, and that abandonment can and will happen within the next generation. Julia spent 18 years in the corporate sector, specialising in transport policy and communications. In 2008, she volunteered in Ethiopia, where she came to understand more about the devastating scale and impacts of female genital cutting (FGC). In 2010, she led a panel discussing how to end FGC at the World Economic Forum in Davos and then spent time in Senegal and The Gambia, visiting communities and seeing the incredible change at the grassroots level, where thousands of communities are choosing to abandon FGC. She set up Orchid Project in 2011 with a vision of a world free from female genital cutting and has created an organisation that has since been shortlisted for Best New Charity at the Charity Times Awards 2013. Julia has most recently been awarded an OBE for her work to end FGC. Susan joined Orchid Project in October 2016, and is responsible for overseeing Orchid’s day to day operations and for delivering on the organisation’s strategic plan. Susan has spent more than 25 years in both the private and not-for-profit sectors, most recently as Executive Director of an international NGO implementing community development programmes in Haiti. Prior to that she was involved in microfinance development in rural China while living in Shanghai, and has spent many years in the international business consulting arena advising corporations on business strategy across borders. Susan has a passion for women’s rights and social justice issues, and is inspired by the mission of Orchid Project to work towards a world free from female genital cutting. Miranda joined the Orchid Project team in September 2017, and is responsible for all aspects of communication across our fundraising and advocacy work, as well as to amplify the work of Orchid’s partners. Prior to joining Orchid Project, she gained experience as a journalist, a marketer for Oxford University Press, and most recently in charity communications. She is passionate about women’s rights, and set up the Oxford branch of anti-street harassment organisation, Hollaback! She is also a Trustee for FGM/C rights-based charity, Oxford Against Cutting. Miranda holds an MSc in Modern Literature from the University of Edinburgh, and a BA in English literature from Newcastle University. Kimberley joined Orchid Project in January 2019 and shares responsibility of donor relationships and fundraising. Previously, Kimberley has managed projects that address inequality and violence in Higher Education and local community spheres, and has led research into antisocial behavior and hate-motivated violence against minority groups within the University Sector. She is impassioned to accelerate and enrich the movement to end FGC, through stewarding and connecting with funders. Saada joined Orchid Project in August 2018 and plays a critical support role across all departments. She has several years of administrative experience working in the international development sector. Passionate about Human rights, she was inspired to join Orchid Project in its mission to end FGC. She holds a BA in Development Studies from Admas University (1st honours) and has previously worked for Axiom international ltd as project assistant where she coordinated international Meeting on behalf of Foreign and Commonwealth Office. Lola joined Orchid Project in November 2018 to support our Programmes team. She provides operational support to the department, whilst engaging with both the knowledge sharing and partner support elements of programmes, and assisting with monitoring and evaluation activities. She gained experience in programme design and advocating for women’s rights both with UN Women and at the Wonder Foundation. She worked extensively on FGC research during her MSc. (Hons.) in Law and Anthropology at the London School of Economics, where she researched the role of law in British anti-cutting campaigns. She holds a BSc (Hons.) in Anthropology from University College London. Giorgio joined Orchid Project in February 2018 and is responsible for developing and managing Orchid Project’s relationships with a variety of funding partners, from major donors to institutional and governmental funders. Giorgio has worked in the international development space for several years, previously working as Programme Partnerships Manager at Fairtrade Foundation. He is passionate about helping to build a wide and rich movement including funders, campaigners, donors, and implementing partners, all working together to end FGC across the world. Giorgio holds an MSc in Development Studies from the School of Oriental and African Studies (SOAS) and a BA in Politics from Queen Mary University of London. Clodagh joined Orchid Project in September 2017 and is responsible for managing Orchid’s growing programmes portfolio – working with grassroots partners to design, implement, monitor and evaluate programmes, showcasing the impact of our work. Prior to joining Orchid Project, she gained experience in programme design and monitoring and evaluation as Senior Programmes Manager with Restless Development. She is passionate about girls empowerment, youth participation and youth engagement in data and accountability. Clodagh has volunteered on community projects in Zambia and holds an MSc in Development and Security from University of Bristol and a BA in International Relations from Dublin City University. Jenna joined Orchid Project in January 2016. In her current role she supports work with our partners, associates and fellows. Jenna has previously volunteered in Kenya and Tanzania working on community programmes within healthcare, women’s rights and education. She also volunteered on youth programmes in India and indigenous rights projects with VSO in Cambodia. She holds a BA in International Development from the University of Sussex. Ebony joined Orchid Project in January 2019 and leads Orchid Project’s international policy and advocacy work aimed at ending FGC. Ebony has over 15 years experience in international human rights and development, including leading global advocacy and campaigns for PEN International, Health Poverty Action, Save the Children and Amnesty International. She has also spent time working in social policy, community engagement and equalities in the UK and Brazil. Ebony is passionate about women’s rights, social justice and community empowerment and is a professor of capoeira (Brazilian dance/art form). She holds a MA in Human Rights from Birkbeck College, University of London. Samina joined Orchid Project in November 2018 and is responsible for HR, financial reporting, compliance and operations management. She has 20 years experience working in the third sector, mainly in the field of Violence Against Women & Girls (VAWG) and is committed to social justice and human rights. She has always been inspired to work towards ending gender inequality therefore was drawn to Orchid Project’s commitment to ending FGC in our lifetime. She holds a BA in Social Policy & Administration. Birgitte heard Julia, Founder of Orchid Project, speak when Orchid Project was still not officially an NGO. Birgitte was inspired by Julia’s vision of a world free from FGC, and so helped set up Orchid Project and later on started the Danish association of Orchid Project with a group of like-minded Danish supporters. Birgitte has been part of developing Orchid Project’s strategy and projects from the beginning and has been fundraising for and visiting programmatic work in Kenya and Senegal since 2011. Apart from being Orchid Project’s representative and spokesperson in Denmark, Birgitte works as COO for a Danish Conference agency. Birgitte holds a Masters in accounting and auditing and has worked in the advertising business for many years. Cécile Belaman (Chair) is Managing Director with Bain Capital in London. Prior to joining Bain Capital in 2008, Cécile was with Morgan Stanley for nine years, most recently as Head of Global Fundraising for the Private Equity Fund of Funds business. Prior to 2003, Cécile was financial sponsor coverage officer for Morgan Stanley, overseeing investment banking relationships with private equity firms, including Bain Capital Europe. Cécile also worked for the financial sponsors group at JPMorgan and at HVS International. Cécile is also a founding member of Level 20, a not for profit organisation that aims to inspire women to join and succeed in the private equity industry. Jim Drummond is a senior development professional who was part of DFID’s leadership team. He was most recently DFID’s Director for Western and Southern Africa and before that for South Asia. He has worked in India, Zimbabwe, Kenya and Tanzania and in senior positions in the Cabinet Office and FCO. Carolyn Esser is the Deputy Director of Communications for Europe and the Middle East at the Bill and Melinda Gates Foundation. She is responsible for the foundation’s communications strategy in these regions, which seeks to raise awareness of the foundation and the initiatives that it supports and works closely with the government relations and advocacy functions to mobilise more and better resources for international development. Previously Carolyn was Global Communications Director at Logica, the FTSE 250 technology and business service company. She started her career in communications at Brunswick, the leading financial and corporate communications consultancy. modern-day slavery, as the campaign WHY SLAVERY?. Emma McGuigan is Group Technology Officer of Accenture’s Communications, Media and Technology Operating Group. She was formerly Managing Director with Accenture’s UK and Ireland Technology business, a team dedicated to the application of technology to business solutions for clients. She has held a range of client roles in her 18 year career, ranging from client account lead to solution architect. In addition she drives the Accent on Women agenda for Technology in the UK, driving decisive action & tangible results on retention, recruitment & progression for Accenture women; running initiatives in the UK and across Europe. Elisabeth Paulson is an investment director with Impetus-PEF. Previously, she has worked as a philanthropic consultant with innovative, international funders: The Elton John AIDS Foundation, Comic Relief and The Children’s Investment Fund Foundation. She worked for ten years with The Economist Intelligence Unit, where she was the Deputy Director of the Country Forecast Service, senior economist and editor of the Asia division and the lead South Asia analyst. Carole Presern is Head of the Office of Board Affairs at the Global Fund to fight AIDs, TB and Malaria. Prior to that she was the Executive Director of the Partnership for Maternal, Newborn and Child Health based out of WHO, which she joined after working at Gavi, the Vaccine Alliance. Up until 2008 she worked for many years for the UK Department For International Development (DFID) and the Foreign & Commonwealth Office (FCO), at the UK Mission in Geneva, and also for long periods in Zimbabwe, Pakistan and Nepal. Carole has served on the Boards of the Global Fund, UNAIDS, WHO, and humanitarian agencies in her FCO/DFID role. She also served for many years on the Board of the HIV Alliance. Carole started her career as a nurse and midwife, working in a refugee camp on the Thai/Cambodian border. She has a PhD in Public Health Policy, and graduate education in Anthropology and Health Systems Management. BBC Woman’s Hour – Ebony Riddell Bamber, Orchid Project’s Head of Advocacy & Policy, speaking from the 63rd Commission on the Status of Women in New York. Marie Claire (French edition) – Comment mettre fin aux mutilations génitales féminines ? i-D Magazine – Fighting FGM, fighting inequality, fighting for freedom?